Access News Service: ANS -- Has Evangelical Christianity Become Sociopathic? 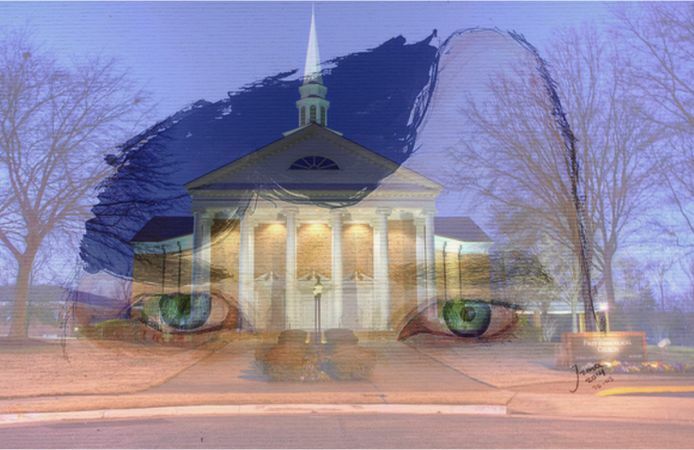 ANS -- Has Evangelical Christianity Become Sociopathic? This asks whether the biblical right is sociopathic. It's fairly short. the site links to some interesting videos. Since Evangelical Christianity began infiltrating politics, officially in the late 1970s, there has been a disturbing trend to limit or remove rights from those who don't meet the conservative idea of an American. Many of these initiatives come in the form of "religious freedom" laws, which empower discrimination, while other legislation targets immigrants who believe differently. The result has been a sharp division in American culture, and the redefinition of Christian theology. Evangelical speaker, author, and university professor, Tony Campolo, said Christianity was redefined in the mid-70s by positions of "pro-life" and opposing gay marriage. "Suddenly theology fell to the background," he said. And somewhere in the middle of all the change, Evangelical Christianity crossed the line of faith and belief to hatred and abuse. Those who cruelly implement the actions of their faith are oblivious to the destruction they cause to their religion, or the people their beliefs impact. Is it fair to call it sociopathic? We see examples of these kinds of behaviors in church leaders and followers. Franklin Graham, for example, stated that immigration was "not a Bible issue." His stand fits well with his conservative politics and vocal support of Donald Trump, but his callousness toward immigrants and those seeking asylum in the United States goes against everything he says he believes (Lev. 19:33-34, Mark 12:30-31). Yet, Graham doesn't see one bit of irony between his political stance and his religious belief. Nor does he seem to notice the horrific casualties in war-torn countries these immigrants are desperately trying to flee. Pastor Roger Jimenez of Verity Baptist Church in Sacramento said after the Orlando, Florida terrorist attack on a gay nightclub, "The tragedy is that more of them didn't die. The tragedy is — I'm kind of upset that he didn't finish the job!" This "minister of God" showed no compassion for the families of the men and women who died. He appeared incapable of laying aside his religious beliefs for even a moment of shared human connection to a tragic event. And recently, Kim Higginbotham, a minister's wife and teacher with a master's degree in special education, according to her website, wrote a public blog called "Giving Your Child to the Devil." She claimed, "Being a disciple of Jesus demands our relationship to him be greater than our relationship to our own family, even our own children." She listed Matthew 10:37 as justification, which says, "Anyone who loves their father or mother more than me is not worthy of me; anyone who loves their son or daughter more than me is not worthy of me." In a self-righteous, self-aggrandizing, martyr's rant, she claims her son turned his back on God, and she was left with no other option but to abandon him. It turns out her son is gay and – it turns out – the day the diatribe was posted was his wedding day. Sharon Hambrick, a Christian writer, posted a wonderful response to this mom. But mostly, rather than calling these people out for sociopathic behavior fellow Christians agree. Many of the comments on Higginbotham's website say, "So sorry for your loss," or, "Praying for you and your son." It's common for us to avoid cognitive dissonance, when our beliefs dictate one thing, but our experiences show us something else is true. We call this living in denial, and we all do it on one level or another. But when we choose our "truth" while coldly watching a fellow human being suffer, we've crossed a line of mental health. The 2016 election demonstrated an especially high level of insincerity, shamelessness, poor judgment and pathological egocentricity among Christian evangelicals. James Dobson, who once said of Bill Clinton, "Character does matter. You can't run a family, let alone a country without it. How foolish to believe that a person who lacks honesty and moral integrity is qualified to lead a nation and the world," and then said of Donald Trump, "I'm not under any illusions that he is an outstanding moral example. It's a cliché but true: We are electing a commander-in-chief, not a theologian-in-chief." The evangelical Christian message is loud and clear. They care for no one but themselves. Their devotion is to the version of Christianity they have created, which calls for ruthless abandonment of immigrants, women, children – even their own – and anyone else who doesn't fall inline with their message. Social justice, which is mentioned in Bible verses over two thousand times, has been replaced with hardline political ideology. Principle over people. Indifference over involvement. Judgment over generosity.